10/6/11 Corvette TSB Recall alert! Click on the following link for information on 2011-12 C6 Corvette rear hatch hinge recall information C6 2011-2012 Corvette Recall if you believe your C6 Corvette falls into the model year and manufacturing dates involved please notify your closest Corvette Dealer Immediately! Use the Search boxes below for summary Corvette Technical Service Bulletin and Recall Campaign's. Just input your year in the Top Box for Recalls and the Lower Box for Corvette TSB's. Note: For Corvettes built before 1984 no data exists for TSB's. You will then be taken to the NHTSA website for the selected year. We recommend ALLDATAdiy.com for full description and repair information. 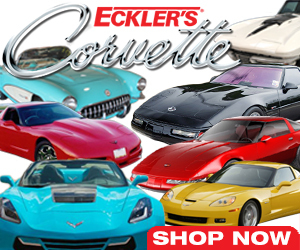 Its easy to use and contains all of the original manufacture’s repair, diagnostic and repair procedures for Corvettes. Easy to use navigation and search tools allow you to quickly get to the info you need to do the job. Hyperlinks insure that you can get to related info at the push of a button. At the bottom of our page below you will find a form to ask questions. Further down the page you will find a very brief summary of issues with the Corvette! Let us know if we can help, just use the form below! If you are considering an extended warranty click here! Important: This information is derived from NHTSA.GOV web site which states: "Information presented on this web site is considered public information and may be distributed or copied." Do you have a question and need answers post it here! Do you have the answer to a post, please comment below to each one you know! What Other Visitors Have Asked! THE LIGHT ON MY HEAT AND AIR COND CONTROL PANEL IS OUT. CAN IT BE REPLACED OR DO I HAVE TO REPLACE THE ENTIRE CONTROL PANEL? Note: This bulletin only affects new‑unsold in inventory Corvettes. rings installed in the engine. This could result in high oil consumption. as possible but no later than September 30, 2009, at which time this bulletin will expire. list, you do not have any involved vehicles. Bulletin 09043 will be available in SI on March 10, 2009. GMVIS information will be available on March 10, 2009. The Inventory VIN List will be available in the SUB link on March 11, 2009. Manufacturer : GENERAL MOTORS CORP.
LOWER REAR SHOCK ATTACHING BOLT MAY BREAK AFTER TORQUED. REAR AXLE CHATTER SHUDDER ON TURNS. SURFACE IRREGULARITIES AT BASE OF WHEEL SPOKES. (INSPECT WHEEL AND REPLACE IF NECESSARY). TIRES (EMT) AND UNIQUE SERVICING TECHNIQUES. OIL LIFE SYSTEM RESET PROCEDURES ‑ CARS. (230). MODELS CADILLACS, CHEVROLETS, GMC, HUMMERS, PONTIACS. DIAGNOSTIC COMPONENT TEST PROCEDURE AND REPAIR AS NECESSARY). STABILITY SYSTEM (IF EQUIPPED) WARNING TELLTALES ILLUMINATE. AUTOMATIC. INCLUDING 2008 TAHOE AND YUKON HYBRID MODELS. TAHOE AND YUKON HYBRID MODELS. HANDLE SWITCH, REPLACE IF NECESSARY). WITH A 6L50 (MYB), 6L80 (MYC), OR 6L90 (MYD) TRANSMISSION. REAR DIFFERENTIAL FLUID). *KB UPDATED 4/11/08. CORVETTE. CSC WAS RECEIVED. UPDATED 3/13/08. POP OR CREAK NOISE FROM REAR OF VEHICLE BEHIND THE SEATS. 6L80 OR 6L90 (RPO'S MYB, MYC, MYD) AUTOMATIC TRANSMISSION. CENTER HIGH MOUNT STOP LAMP ILLUMINATES DIM ALL THE TIME.